Please join The Center for Jazz Studies and Columbia University Institute for Research in African-American Studies at Prentis Hall, Room 101 on Thursday Februrary 14th at 7pm for a discussion with Maxine Gordon on her book, Sophisticated Giant: The Life and Legacy of Dexter Gordon. Maxine Gordon is an independent scholar with a lifetime career working with jazz musicians. 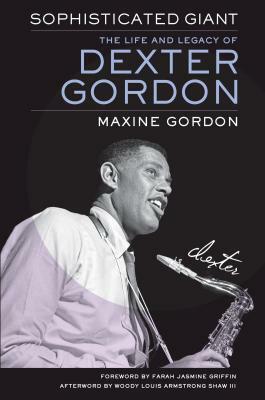 As an oral historian and archivist in the fields of jazz and African American cultural history, Sophisticated Giantfulfills the promise she made to her late husband, jazz saxophonist and Academy Award-nominated actor Dexter Gordon, to complete his biography.